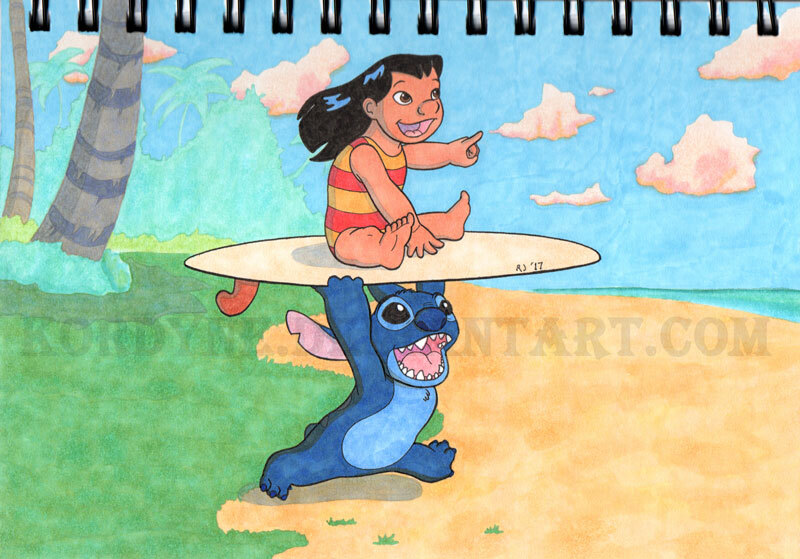 Part of my Spring Inks Project: Lilo and Stitch! I had started the pencil work of this while on holiday and have been working on and off on it for weeks now (things like work and other commitments kept pushing it to the side ). I originally intended to just draw the characters themselves, but then I decided trying to give them a seaside background. I used various stills from the movie as reference. I don't feel I've nailed it, but it's good practice!